New to group rides? 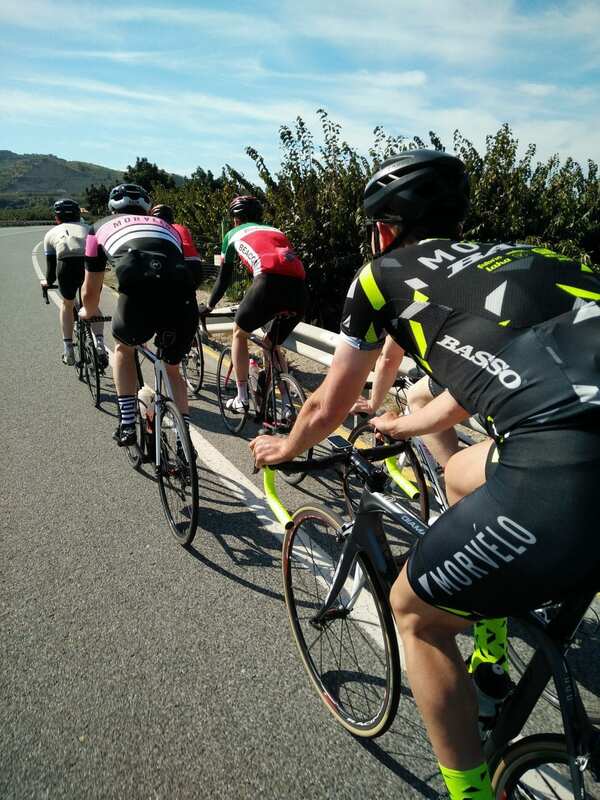 Tom Kirk of Custom Cycle Coaching takes us through the different types of group rides he’s ridden with before and the advantages and disadvantages of each. 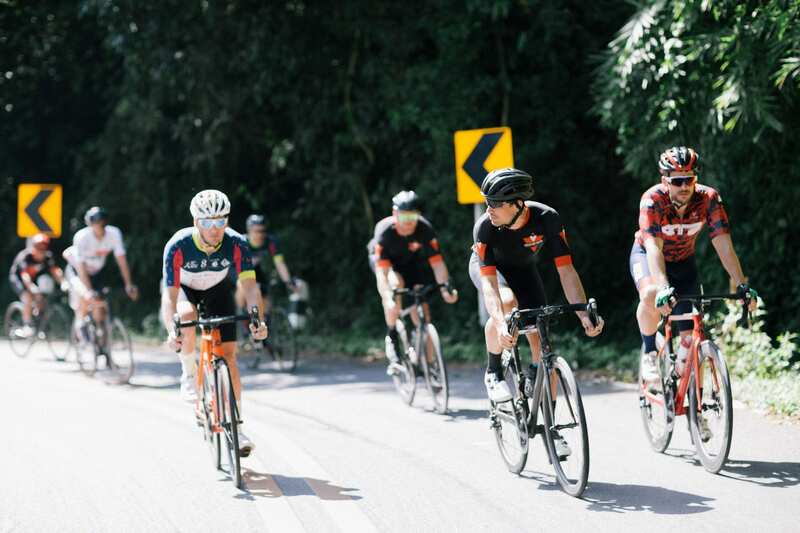 Many of us ride with our mates, either formally in a club or informally, but not all group rides are equal, this is my take on some of the different types I’ve seen and ridden in. Which one is yours? Anything I’ve missed? Where it all begins for many of us. While some people coming into cycling later in life might miss this completely it’s still a great way to gain group riding skills and accumulate that endurance base in good company (hopefully!). You’ll normally ride in pairs for a short period, maybe 5-10 minutes before swapping over, either with one of the pair moving forward to allow a new partner to join them on the front or in what I call the ‘danger changer’ move where both the front riders move out the way, one left and one right, to allow the next pair through. I don’t like this as it means you’re 4 abreast for a while and don’t get to swap partners to chat – one to save for wide, smooth and quiet roads with patient drivers rather than the narrow potholed lanes of the UK! There’s always that bloke that been on every club run since 1987 and will tell you if you’re doing anything wrong. And he will tell you. Newer riders get to learn from more experienced riders in a relaxed environment. Everyone shares the pace equally and you get to chat to everyone. These are often ‘no drop’ rides so someone will always look out for the weaker riders. You might end up on the front with someone much stronger or weaker than you, meaning that neither of you get an optimal workout! In very large groups you can end up with loads of very easy riding or freewheeling, again not great training! 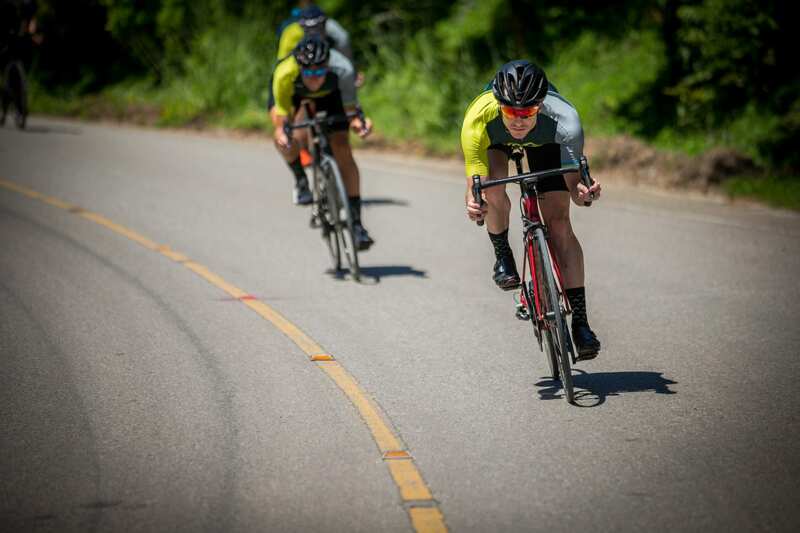 The perfect replica of a breakaway working together in a pro race. That’s the theory anyway… Again two lines, one moving forward with the rider on the front doing a short, hard turn before moving over, always into the wind*, and easing off the pedals to allow the next rider through for their turn. The aim is to keep the group moving together as fast as possible and get a hard workout. However, this isn’t always the case. Round here the local chaingangs are known as ‘The Bash’ presumably as it’s a good opportunity to ‘bash’ your mates into oblivion by riding so hard everyone is on their knees by the end (or maybe halfway)! A great way to learn technique of riding fast for racing or sportives. A well oiled chaingang should always be much faster than any of the individual riders would be able to do alone. You develop the skill of riding close on the wheels while on the limit. If someone rides through too hard or the group is too mixed in ability a smooth chaingang can rapidly deteriorate and end up slower than you could do solo! More likely to have an accident as everyone is riding on their limit. Less sociable – if you’ve got the breath to chat you’re not trying hard enough! A bit of a mixture of a club ride and chaingang, or a race for non-racers! Your opportunity to go out and batter your mates and show who’s the strongest. Sit on the front turning the screw until you can no longer maintain it and hope someone else takes over – but doesn’t ride too hard! No one wants to be dropped from the Weekend Worlds! This is often the same route every week, with riders saving their energy for a big attack on their favourite section or that signature hill that everyone wants to be first to the top of, and of course there’s a sprint for the finish! These can be great fun and a kind of race simulation as you never know who’s going to attack next. Do you dare follow them or save your legs for later? While these are hard, there’s no need to actually do a turn on the front as there’s always someone willing to take it up. If you’re less fit you can keep up, as long as you ride cleverly and stay out the wind – great skills to learn for racing! These are great to chart your progression, move from being dropped, to hanging on, to doing a turn to being one of the strong riders who everyone watches out for! It’s the Wild West (Midlands) out there, you might be lucky and have someone stop to help if you puncture or get dropped, but expect to be on your own and self-sufficient! Some people will be on their limit, making it a bit more dangerous. You might get a chat if you’re lucky, but it’s more likely you’ll be suffering either through your own or someone else’s making! *Why always into the wind? To ride in the fastest and easiest way possible. The line that is moving forward should be sheltered from the wind as they’re moving faster.